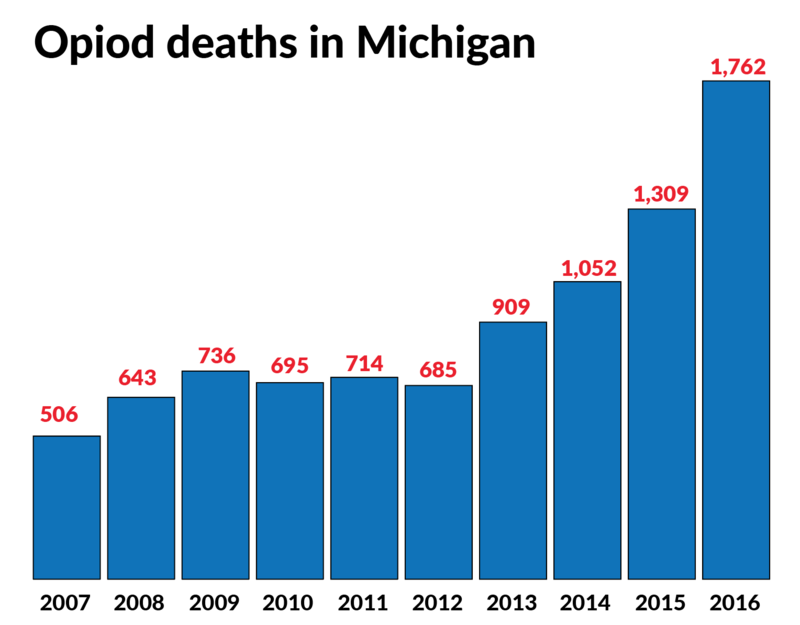 Michigan opioid deaths have more than tripled over a decade. And yet Bridge could not find any hospital emergency rooms in the state that administer a drug that can help addicts stay in treatment. From California to New York to Maine, emergency rooms are becoming a life-saving front line in the nation’s opioid crisis. Armed with evidence that addicts given an opiate substitute called buprenorphine in the ER are more likely to remain in treatment (and less likely to use illicit drugs) California is taking it a step further. It’s committing $78 million over two years to ensure greater access to buprenorphine and two other addiction medications in ERs and beyond. And in Michigan, where opioid deaths have more than tripled over a decade? As far as Bridge Magazine can determine, no ER offers buprenorphine treatment. That’s in stark contrast to a treatment regime put in place by an emergency room at a small Maine hospital in less than a year. A hospital official there said doing so has saved “multiple patients” from overdose. As drug deaths of all kinds in Michigan in 2017 topped traffic and gun deaths combined, one addiction specialist said that’s a critical missed opportunity to save lives. 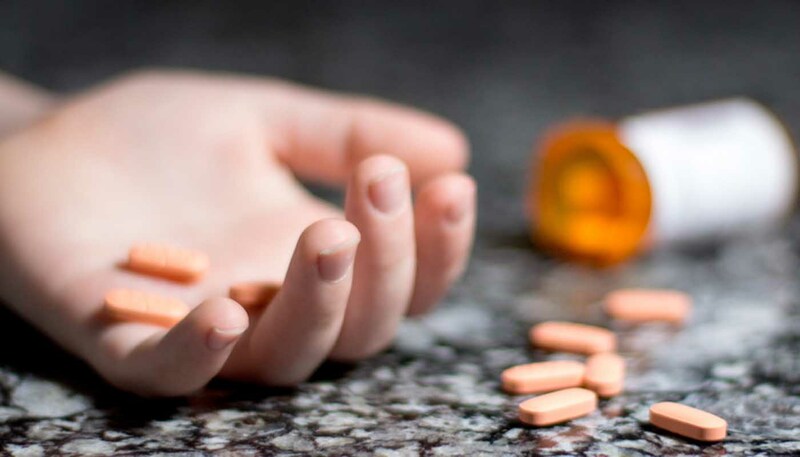 The Centers for Disease Control estimates that 2,662 Michigan residents died from drug overdose in 2017, a jump of 82 percent over five years. “If you are going to stop people from dying and engage them in treatment, you really need something bold. 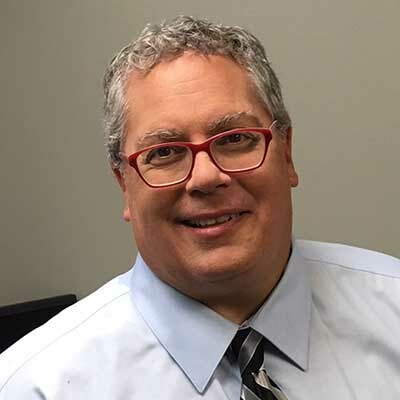 Bold is pretty scary, but we are in desperate times,” said William Marrone, Bay County’s chief deputy medical examiner, member of a county opioid task force and chief medical officer for Recovery Pathways in Bay City and Ortonville. Buprenorphine, used for treatment of opioid addiction, is distinct from naloxone, the drug used by emergency first responders to revive overdose victims and reverse the immediate effects of the drug. But Marrone said reviving overdose victims with naloxone will likely provide only short-term relief if they are then discharged from a hospital with no treatment plan. “They are sick and they are in withdrawal. The first thing they think about is they don’t want to feel this way, and then they call the dealer,” Marrone said. Buprenorphine, itself an opioid, produces a less euphoric high than other opioids, and one that tapers off at higher doses, making patients much less likely to overdose as they adjust to treatment. It also curbs the thirst for other opioids and when combined with naloxone – which is sold as Suboxone – actually blocks the effects of opioids like heroin. Marrone is exploring establishment of a buprenorphine treatment program in a rural hospital north of Lansing, but has yet to gain approval from hospital officials. Other hospitals told Bridge Magazine they are studying such a program – but are not yet ready to put one in place. A groundbreaking 2015 Connecticut study found patients given buprenorphine in the ER were twice as likely to remain in treatment a month later compared with patients who were simply referred to community-based treatment. Addicts, experts say, often need months of sustained treatment to kick their habit, while users referred to community treatment or abstinence programs are more likely to relapse. “We know this works,” Morrone said. He and other experts acknowledge there is no one solution to the opioid crisis, which has its roots in the spiraling rise in the 1990s of heavily promoted opioid painkillers like OxyContin. OxyContin prescriptions for non-cancer pain in the U.S. soared nearly tenfold from 670,000 in 1997 to 6.2 million in 2002. More than 200,000 people in the United States died from 1999 to 2016 from overdoses related to prescription opioids. But in recent years, as the opioid epidemic rages on, drug deaths tied to a street version of the synthetic opioid fentanyl have overtaken prescription painkillers in Michigan and nationwide as the primary cause of overdose deaths. That gives greater urgency to findings that buprenorphine, as part of a broader treatment plan, can indeed save lives. Beyond a lack of ER buprenorphine treatment regimes, Michigan also suffers from a lack of physicians certified to prescribe the drug. According to analysis by Avalere Health, a Washington D.C. healthcare consulting firm, Michigan ranks in the bottom 10 states in the ratio of doctors certified to prescribe buprenorphine compared to opiate deaths. It is a more dangerous issue in rural Michigan, which has a shortage of primary care doctors as well as those certified to prescribe buprenorphine. State health officials say there are approximately 1,400 certified prescribers in the state, though it’s unclear how many actively prescribe. In the meantime, addicts continue to flood ERs around the state. It could be for overdose or for infections and abscesses from needle injections. It could be for severe withdrawal. Patients admitted for other reasons also may disclose an opioid dependence and ask for help. 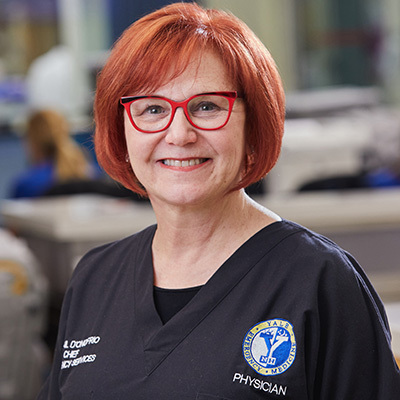 Gail D’Onofrio, lead author of the Connecticut study, told Bridge that every time a person addicted to opioids is admitted to an ER is a treatment opportunity that should not be missed. Otherwise these patients may well end up back in the ER – or as one more grim statistic in a mounting death toll. “This is a chance to identify them and engage them in treatment,” said D’Onofrio, chair of the Department of Emergency Medicine at Yale New Haven Hospital. In 2009, D’Onofrio embarked on a years-long study of more than 300 ER patients who entered with signs of addiction. The results, published in the Journal of the American Medical Association, found that 78 percent of those screened for opioid addiction and given buprenorphine were still in treatment a month later, compared with 37 percent screened and referred to community-based treatment. “That was actually pretty surprising to us, that it was so effective,” she said. In the wake of an August New York Times article highlighting this treatment tactic, D’Onofrio said she’s been contacted several times a week by medical officials around the nation interested in setting up a similar program. But one Michigan opioid expert added a note of caution to heightened expectations for this approach. “As a way to engage people, to bridge the gap between the emergency department and treatment, it can be a great tool, “ said Molly Welch-Marahar, opioid project coordinator for the University of Michigan’s Center for Healthcare Research & Transformation. Welch-Marahar also noted that Medicaid – the federal insurance for the poor – covers buprenorphine. But she said other insurance may not. A spokesman for Henry Ford Health System in Detroit said it has no such program. At Ann Arbor’s Saint Joseph Mercy Hospital, officials say they are “looking into it,” according to Mark Weiner, the hospital’s medical director of substance use disorders. But Weiner said it’s a ways from reality. Officials at Grand Rapids-based Spectrum Health said they are “working toward” a buprenorphine ER program, according to spokesman Bruce Rossman. As they do so, Spectrum Health officials say they are also reaching out to expand the universe of physicians who can prescribe the drug. In June, Cara Poland, Spectrum’s director of addiction medicine, headed a two-day training session for ER and primary care and high-risk obstetric physicians to qualify them for the federal waiver needed to prescribe buprenorphine. Under the federal Drug Addiction Treatment Act of 2000, physicians are required to complete an eight-hour training course to prescribe the drug. (Physician’s assistants and nurse practitioners take a 24-hour course.) The training is needed because the drug requires careful administration and technical understanding of how it works and potential risks. “We trained 98 physicians over the course of two days,” Poland said. Intrigued by results of the Yale New Haven ER treatment study, an emergency medicine specialist in California persuaded the California Health Care Foundation to give a small grant to eight hospitals in Northern California last year to dispense buprenorphine in their ER’s. The state is spending $700,000 to expand the program statewide, as it commits $78 million to establish a treatment network to provide greater access to buprenorphine and two other addictions medications. In March, Massachusetts General Hospital in Boston became the first hospital in that state to offer buprenorphine to ER patients. It’s committed to retain at least one doctor in the ER around the clock trained in guiding patients in the transition from addiction to managed treatment. In 2016, an ER physician trained in addiction medicine in Syracuse, N.Y., started a clinic in the ER to dispense buprenorphine. It reported steering about 80 percent of patients into local treatment programs. That can-do approach was also adopted by Mid Coast Hospital in Maine, which launched its own treatment program last October. “It’s working well, overall. We’ve been able to get multiple patients at high risk into treatment immediately that could have gone on otherwise with overdoses,” said Leah Bauer, a psychiatrist and medical director of the outpatient treatment center affiliated with the 93-bed hospital in Brunswick. Bauer said the center is geared to get patients into treatment within three days of their entry at the hospital. Some, she said, come to the ER in a desperate state of withdrawal. Bauer said such patients often lapse back into drug use if they are put on a weeks-long wait list for treatment. Under federal regulations, physicians not certified to prescribe buprenorphine can do so to relieve withdrawal symptoms for up to 72 hours – one day at a time - while arranging referral for treatment. By the end of 72 hours, Bauer said, Mid Coast patients are accepted into the center for treatment, a combination of group-based meetings and intensive outpatient sessions initially convened three to five days a week. Bauer said the hospital assembled its treatment plan in about nine months, with no outside funding or grants, and with strong support from top administration. “That’s why I love Mid Coast. They are so receptive to new ideas. They were like, ‘Go for it,’” she said. The world wants to be deceived, so deceive it. I'm a retired physician and spent 40 years listening to patients lying to themselves and then to me, drug companies sliding half truths down the throats of gullible colleagues, hospital administrators spending fortunes on the advice of their sycophants and more generally, reporters who graduated from public schools trying to think. This is an example of the latter. As a baseball player pointed out, "If you don't think too good, don't think too much." I've been trying to find evidence that bupren.. works and so clicked on the link provided by the "expert" here. The summary is as follows and probably accurately reflects the results of the study. 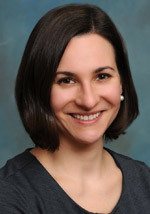 "Among opioid-dependent patients, ED-initiated buprenorphine treatment vs brief intervention and referral significantly increased engagement in addiction treatment, reduced self-reported illicit opioid use, and decreased use of inpatient addiction treatment services but did not significantly decrease the rates of urine samples that tested positive for opioids or of HIV risk. These findings require replication in other centers before widespread adoption." Then there is the subjective, self reported reduction in drug use, but what else do you expect an addict to tell you if you are giving them pills that make them happy? The objective findings are that addicts still had positive urines and risk of HIV. No advance of civilization there. I had hoped that I could cite bupren.. as a crutch when I'm on the campaign trail (MI 26th senate) but alas, it was not to be. In 1900, any kid could walk into any pharmacy in the USA and buy heroin or cocaine; None did because there was no money in it. Thos Jefferson arranged for Lewis and Clark to find the northwest passage through the Louisiana Purchase in 1803. Both Jefferson and Lewis used opium daily for decades and functioned OK. The problem arose in 1913 when some bluenoses estimated that 1.3% if the US population was addicted to heroin and that these folks might be having fun so put a stop to it with the Harrison Act. And so this travesty has become a "war on drugs" with uncounted lives ruined. It is estimated that 1.2% of our public is using illicit drugs with 2 million using narcotics. I find no evidence that convinces me that all of these addicts started by using prescription drugs; rather many were on the illegal stuff and found that going to certain doctors allowed them to access Vicodins and Oxy... It's hard to untangle where these folks started their drug habits. The recent spike in overdose deaths arises when illegal narcotics which come from irregular sources are spiked with Fentenyl which is much more potent than heroin and causes respiratory arrest, and that ain't good. I speculate that 1.2 % of the American public have addictive personalities and will use these drugs until they age out, often at age 40. If we got rid of the war on drugs these folks could buy legal and standardized narcotics which they could use safely. And narcotics would cost about the same as herbs or spices. With no profit motive, who would try to peddle them? But the folks who peddle bupren... see profit. Those who handle honey do lick their fingers.